I’m sorry for the long wait, but here’s chapter 9 finally. Chapter 10 will be out very soon. 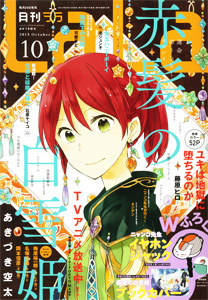 I’ll write my thoughts about chapter 9 and 10 together on the Lovely Manga Blog after chapter 10 is released. There’s a lot to talk about in these chapters. I’m most eager to read what some of you think of chapter 10. Next up will be “Sabaku no Harem” Chapter 7 and another extra “Sabaku no Harem” story from Lala. Both chapters need extra love because of the print quality, so they may not be released until around the 10th of June. After that! We start the onslaught of oneshots and short series, which we will be doing at least until the end of the year. We will continue our regular series, but now that we’ve caught up, we have space in our release schedule to fill.